I am proud to report that the Philippine Senate has been able to reduce by as much as 50% the volume of garbage it generates following its successful implementation of a solid waste management program. This has happened because of the establishment of a Materials Recovery Facility (MRF) in our parking lot pursuant to the Ecological Solid Waste Management Act of 2000 (RA 9003). I had pushed for the establishment of an MRF in the Upper Chamber as early as the 13th Congress (2004-2007) when I was then Chairperson of the Senate Committee on Environment and Natural Resources and Co-Chair of the Congressional Oversight Committee on the Ecological Solid Waste Management Act. I felt it was important for the very institution that passed RA 9003 to be at the forefront and to be a model among government offices in implementing the law and raising awareness about it among its staff and employees. So, finally, we have an MRF. My office worked with environmentalist group, Mother Earth Foundation to set this up. An MRF is defined under RA 9003 as a drop off center for solid waste where these are further sorted and collected. The MRF also functions as a recycling and composting facility. You can just imagine how much paper we use. In fact, I have switched to delivering most of my speeches using notes I type in my iphone. I also conduct many of my interpellations using notes I took and saved on my iphone. 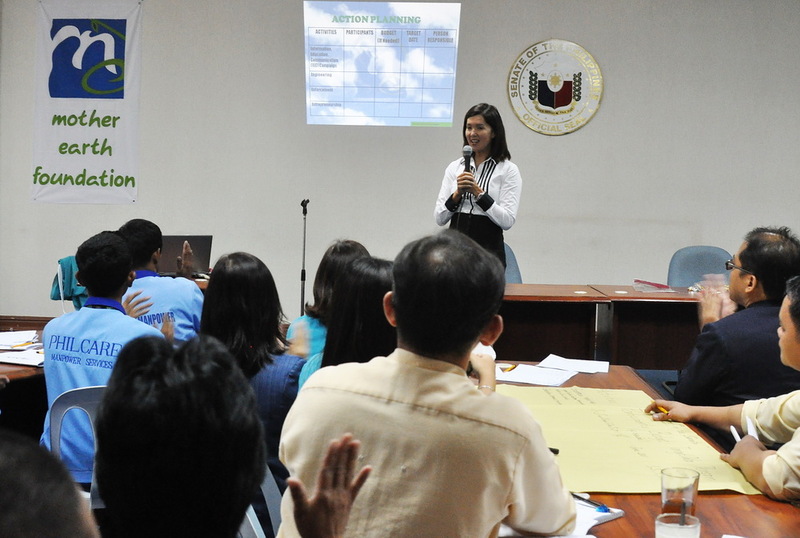 Following the establishment of the MRF, my office conducted a series of workshops and hands-on training on solid waste segregation and management for members of the Senate staff and Secretariat. Last February, a ‘No Waste Segregation, No Waste Collection’ policy was instituted which required employees to classify office waste into biodegradables and non-biodegradables and to dispose the same in their designated trash bins. Based on the reports from the General Services Department, the Department directly involved in the maintenance of all physical facilities of the Senate, the residual waste being churned out by the Senate as an institution has been effectively reduced by half during the past month. Meanwhile, the frequency of garbage collection, which the Senate contracts out to a private hauling services company, has been reduced from once a week to only once every two weeks, or as the need arises. 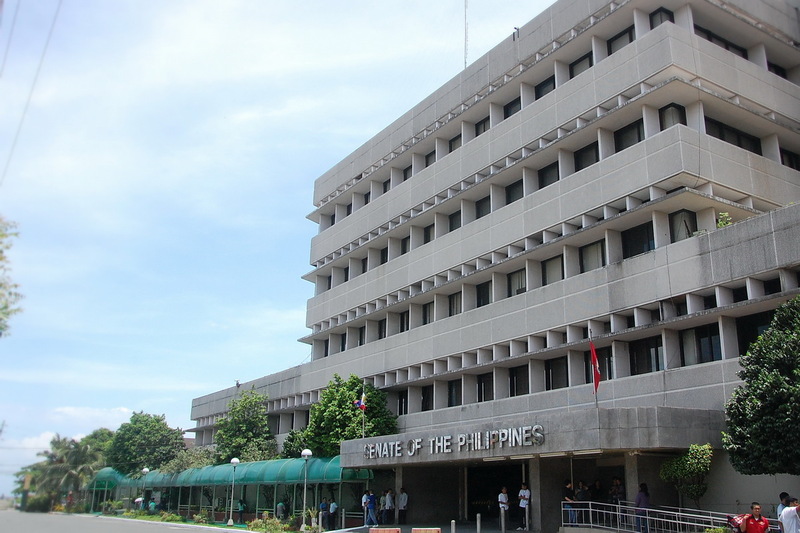 In a little over a month, the Senate has been able to lessen its garbage by half as employees and staff became more conscious about segregating, recycling and reusing waste in their respective offices. Meanwhile as part of my advocacy, my office continues to conduct solid waste management seminars in different provinces. It is my aim to educate people on the importance of the solid waste management at the grassroots level. I also hope other government offices will follow suit. We will be happy to provide with technical assistance.